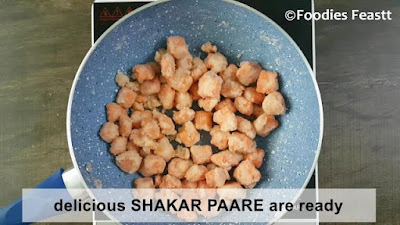 shakar pare recipe / punjabi shakar pare / how to make punjabi shakar pare / step by step images / recipe video. 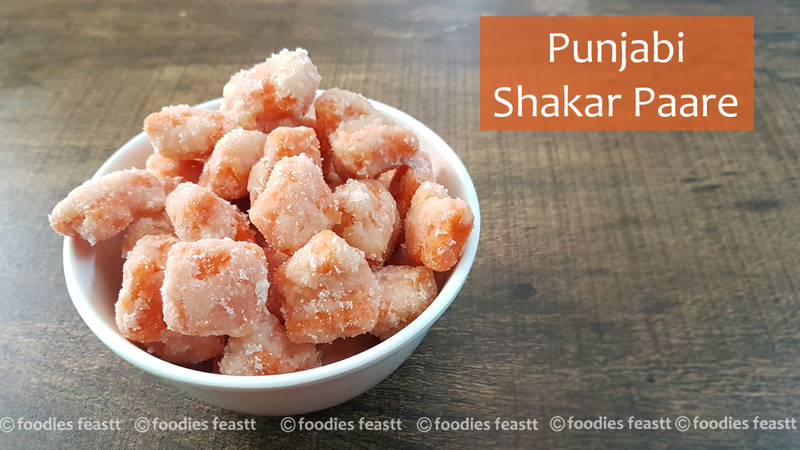 Shakar pare is a very popular and common north Indian sweet which is coated with crystallized sugar and flaky from inside. 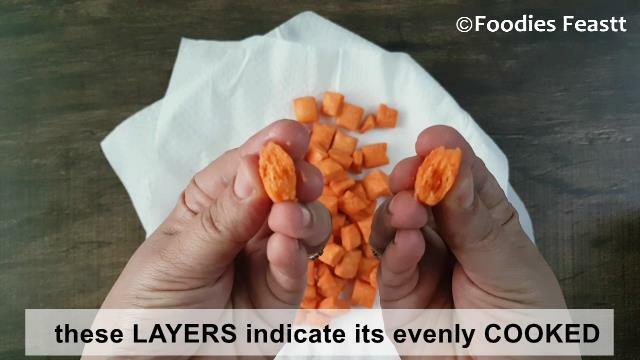 It is generally made during diwali. But my whole family is a fan of these shakar pare and so muma makes it very often along with namkeen mathri the recipe which I shared a few days back. A very easy recipe with simple ingredients. I have used orange red food color which is optional, so you can skip. It however gives a more tempting look. 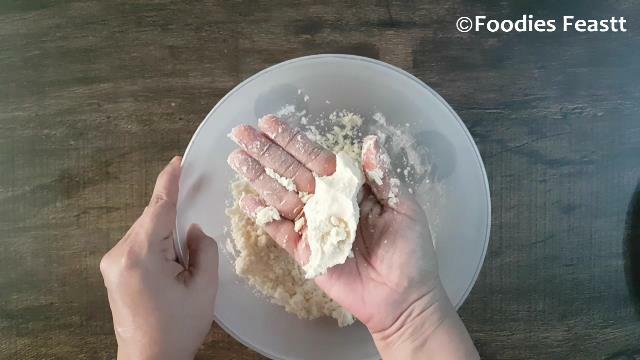 While preparing its dough the most important is the amount of ghee to be added. I have shown it very clearly in the video and also in the images below. The quantity of ghee should be such that when u press the mixture in your hand it should be able to hold itself and form a lump. Once the sugar syrup is ready you have to be quick and keep on mixing the shakar pare with the sugar. The sugar syrup crystallizes soon so you have to be careful. If you do not keep on stirring the shakar pare would stick to one another and form a lump. Also you can add the rose essence in the sugar syrup once it is done. However I have added it after putting in the shakar pare. 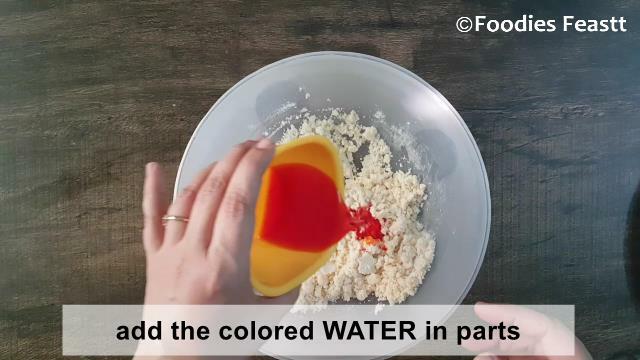 Firstly in a bowl take 3 tbsp of water, add color to it, mix well and keep it aside. I would suggest you to take ¼ cup of water, because in case if you need more you would have it in hand. 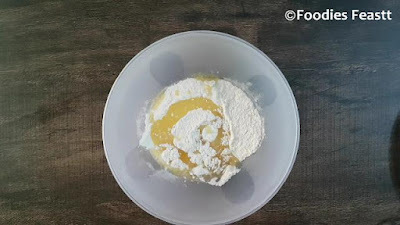 In a bowl take 1 cup plain flour, ¼ cup ghee and mix well. After mixing press the mixture in your palm. 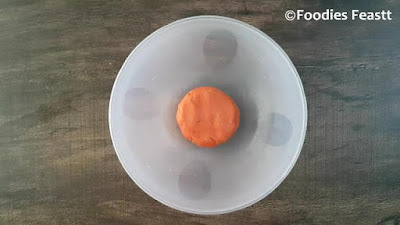 A lump should be formed as shown in the image. 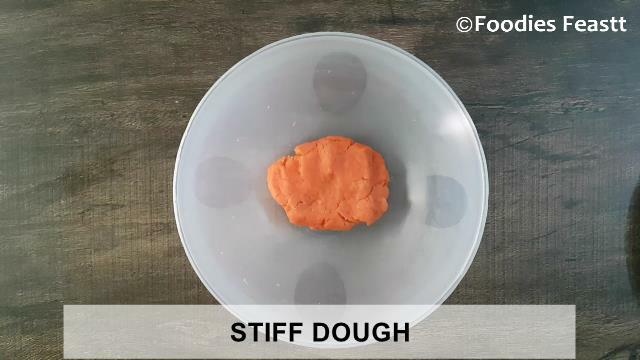 The mixture should be able to hold itself without falling apart. Now add in 3 tbsp of water. 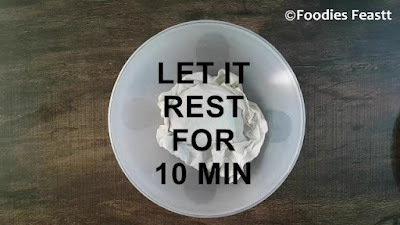 Cover it with a moist cloth and keep it aside for about 15 minutes. After 15 minutes knead the dough again. Now take the dough, flatten it and roll it into a thick circle. 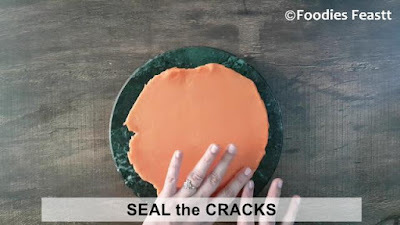 Seal the cracks as then we would get nice shaped pieces all over. With the help of a knife cut the rolled out dough into small squares. 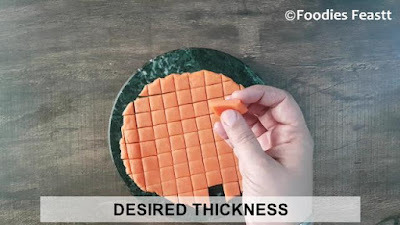 The desired thickness is shown in the image below. And slide these raw shakar pare into hot oil and then reduce the heat to medium. The oil should not be so hot that the shakar pare would burn. Also do not overcrowd the shakar pare in the pan. 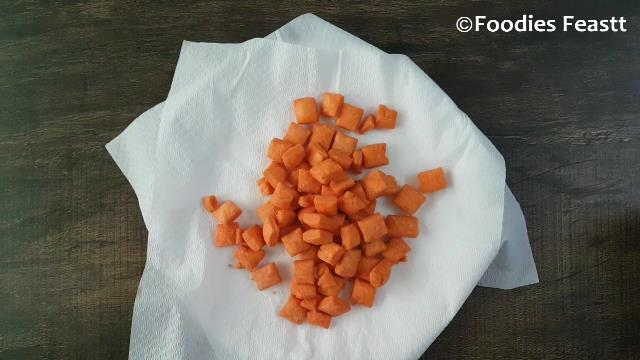 Flip and fry till they are crisp and evenly cooked. They should not turn dark in color. 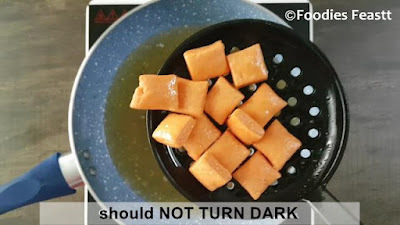 Drain them on the kitchen tissue to remove excess oil. Take one shakar para and break it into two pieces. Layers should be seen, this indicates that the shakar pare are evenly cooked. Now we have to make the sugar syrup. 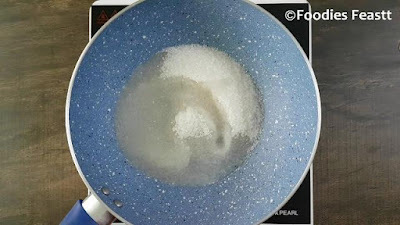 In a pan take 1 cup sugar and ¼ cup water. 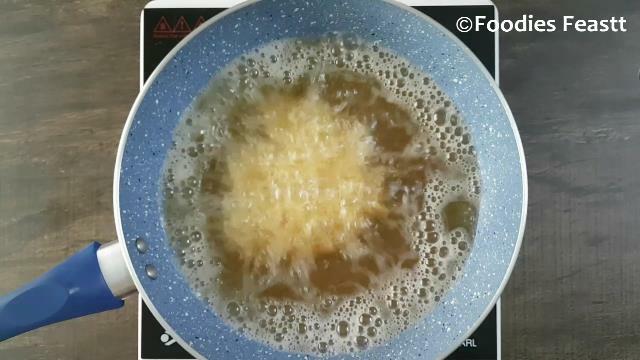 Stir on medium heat. 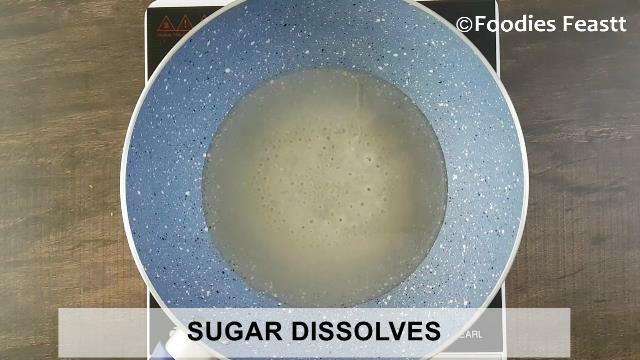 The sugar will start dissolving. Let it simmer and reach ONE string consistency. You find a layer of sugar depositing at the sides of the pan. At this time the sugar syrup would be sticky. 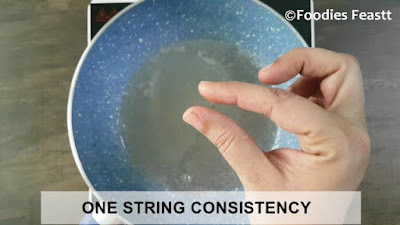 To test the consistency of the syrup - dip your fingers in water to avoid burning and touch the back of the ladle using forefinger and press it with thumb. When you try to separate the fingers you can see a single string formation which indicates the correct consistency. Turn off the heat. 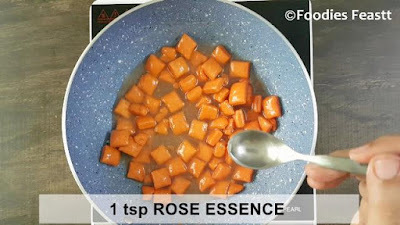 You can add the rose essence at this stage. Now quickly put in the shakar pare followed by rose essence. Now start mixing and coating the shakar pare with the sugar syrup. 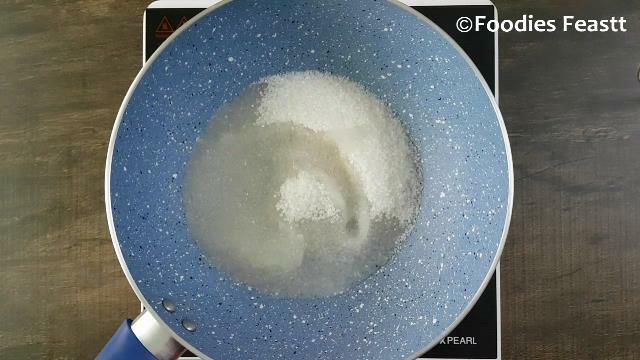 The sugar syrup crystallizes soon so you have to be careful. If you do not keep on stirring the shakar pare would stick to one another and form a lump. 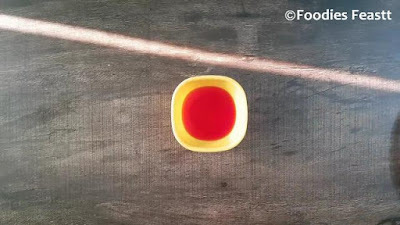 Within a minute the sugar syrup will crystallize and you would get your delicious and mouth melting shakar pare to serve and eat. The quantity of ghee should be adequate. Less would make them hard and excess would make them over soft. Do not miss the one string consistency of sugar syrup, else the sugar syrup would not crystallize. You can skip adding color. While kneading the dough add water as needed. 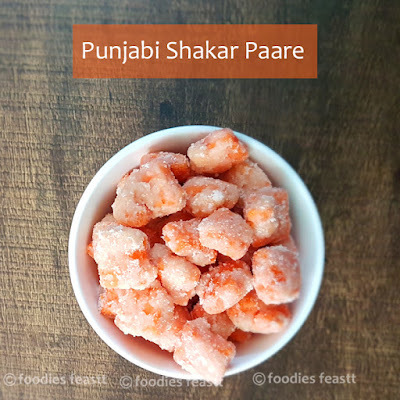 Do try this food-a-licious Punjabi Shakar Pare for your family and friends and let us know your experience via comments. 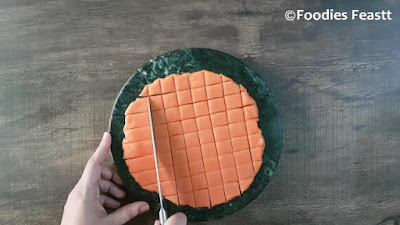 Mango Whole Wheat Cake – Eggless and Without Oven. 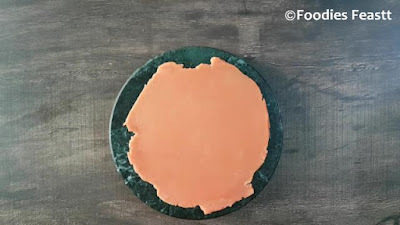 Jaggery Halwa / Jaggery Sooji Halwa – A Quick, Easy And Delicious Halwa. Chocolate Oreo Wheat Cake – Eggless and Without Oven.